Does Expert Lotto 5 Really Work? Read Reviews! Expert Lotto 5 is a management app aimed at simplifying lottery related tasks like statistics, past number checking, lottery result checking, playslip printing, etc. Do you have some trouble getting your lottery efforts organized? If so, Expert Lotto 5 may be the right app for you. It comes with an array of options and a number of management functionalities for different lotteries. In a sense, this is your one-stop-shop to most lottery-related tasks. What Is Expert Lotto 5 and What Does It Do? Exert Lotto 5 is a software app that runs under Windows, Mac OS and Linux. Upon the installation, you’re given a lengthy list of lotteries that the app is compatible with. Some of these lotteries include US national and state lotteries, Australia’s Lotto, Lotto Belgium, Mega-Sena from Brazil, Canada’s Lottario, EuroMillions, Keno (from several European countries), SuperEnaLotto and many other global leaders in the lottery world. The features available for these lotteries include an archive of the latest draw, check winnings, print playslip, sort numbers in ascending or descending order, analyze drawings, manage system bets, predict lotto numbers on the basis of hot and cold digits, an archive of personal predictions, etc. The interface looks very much like an Excel spreadsheet. The top menu contains the functionalities and the formulas that the player can apply for the respective lottery. A new window and panel will open for each lottery being played and the data will be stored separately. Thus, a single player can set up multiple management Expert Lotto 5 profiles to manage all of the opportunities that they participate in. 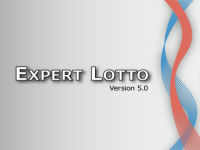 Expert Lotto 5 is currently available free of charge. It’s also nice to know there are no premium features or add-ons that the player will have to pay for in order to utilize. The team behind Expert Lotto 5 does launch updates and upgrades on a regular basis. These improvements and fixes are also available for download free of charge. How Does Expert Lotto 5 Work? This lottery app is pretty simple and straightforward. Expert Lotto 5 does not feature revolutionary functionalities or a breakthrough interface. You can do most of the things that it enables on your own. The nice thing about the app is that it creates a master control center for the lotteries that you like. If you are an avid player and you like keeping track of drawings, hot and cold numbers, system bets and your own performance, you will like Expert Lotto 5 a lot. It does work and it delivers exactly what the team behind this app promises. One thing that is truly impressive is the support for such a big number of lotteries. The archives and the drawing results are accurate. The information is relevant. Thus, people who play multiple international lotteries could find this software particularly beneficial. Expert Lotto 5 is free to download and use. The makers provide regular updates to introduce new features and fixes. The Expert Lotto 5 website itself doesn’t feature specific usage terms and conditions. There is a large manual available in PDF form so if you’re looking for some setup assistance, you may want to go through this document. Expert Lotto’s makers also provide sufficient support and the team is easy to contact. If you have some questions about the usage rights, the specification or the features of the software, you may want to direct your inquiries directly to the developers. Unfortunately, there isn’t a lot of additional information about specific requirements, obligations or restrictions applying to Expert Lotto 5 users. Who Is Behind Expert Lotto 5? A group of lottery enthusiasts is allegedly responsible for the development of Expert Lotto 5. Both developers and lottery players have been involved in the setup and the creation of the various features. This could be one of the reasons why Expert Lotto 5 is a particularly user-friendly app. The team description suggests they’ve been active in the field for a period of 12 years. This is when the first version of Expert Lotto 5 was launched. Originally, Expert Lotto 5 was applicable solely to Czech lotteries but eventually, the scope of applications increased. The original development was soon renamed to Expert Lotto 4 and it began offering support for some international lotteries. With time, the software was renamed once again and it became Expert Lotto 5. The number of supported lotteries increasing gradually to become the lengthy list players can choose from today. There are a physical address and a website provided on the official app website you can use to run your own background check. If you’d like to inquire additionally about the team, you can call (+420) 774-875-025. Would you mind rating Expert Lotto 5? Expert Lotto 5 is far from a revolutionary app and it doesn’t claim to be one. The level of self-awareness and the presentation score the developers of this software product some points. The fact that Expert Lotto 5 is available free of charge is an added nice characteristic. 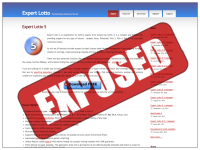 The list of lotteries that the Expert Lotto 5 functionalities apply to is impressive. As far as functionalities go, this software will appeal the most to people who like statistical analysis and keeping track of their lottery performance. Interface-wise, there is room for improvement. Expert Lotto 5 does look a bit dated. Functional buttons, drag and drog options and other contemporary engagement characteristics are missing. The fact that it resembles an Excel spreadsheet so much, however, could probably make most people comfortable with the app right from the start. Players who like simplicity and keeping all of their lottery information in one place will like Expert Lotto 5. This is the reason why this simple, functional and comprehensive app gets a 7 out of 10 stars rating. I had this software for the past 5 years and I’m very impressed with the features. The community support from the software vendor and group of users is excellent. There is a very high learning curve but once you get past that it will be fun to use. So have I won money with this software you ask? the nice part of the software is it gives you a free trial and give it a try because you might like it.